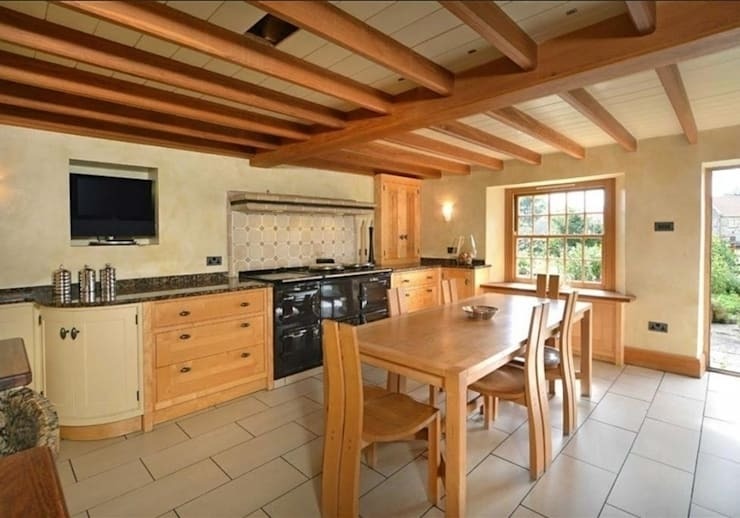 designed to compliment a beautiful kitchen in a North Yorkshire country house. (as featured in "25 Beautiful Kitchens") The chairs were designed to compliment the dining table using the same combination of timbers. 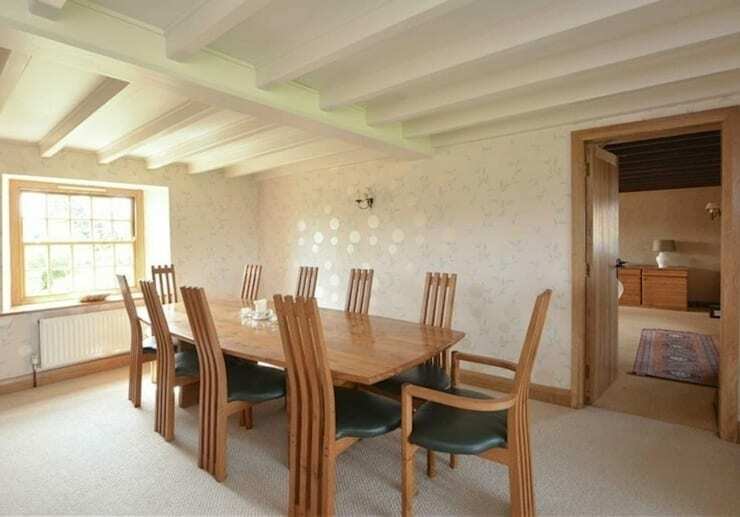 This grand and beautiful country dining room in a guest house in Yorkshire deserved an equally elegant ten seater dining table and chairs. The table top and three legged chairs are is made from solid oak. The backs of the chairs were designed to compliment the cottage beams and a deep green coloured real leather chair seats bring a bit of the lucious green landscape indoors.